The study titled, ‘Dentinal tubule occlusion by desensitizing dentifrices: SEM study’ was originally published in the IOSR Journal of Dental and Medical Sciences. 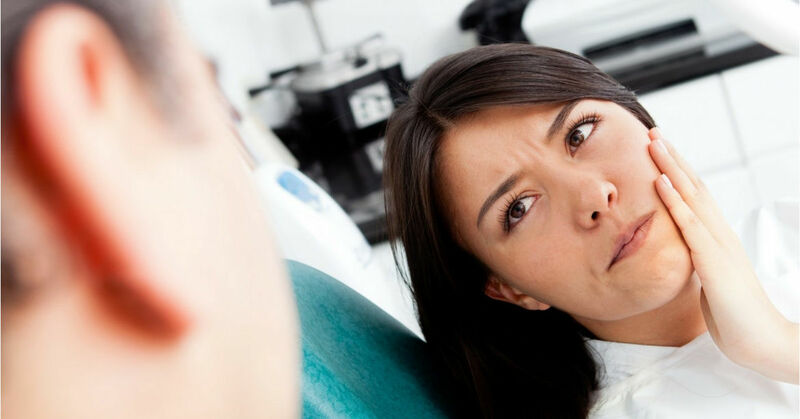 Dentinal hypersensitivity (DH) is defined as a short sharp pain resulting as a response to thermal, tactile, evaporative, osmotic or chemical stimuli in the absence of any other dental defect or pathology. Dentinal hypersensitivity (DH) is one of the most common oral health problems in adults all over the globe. While it can manifest from a young age and is also seen in older adults, the majority of patients suffering from DH are between the ages of 20 and 40. According to the hydrodynamic theory given by Brannstrom et al (1968), when a stimulus is applied on the dentin surface, it causes a movement of tubular fluid. This activates mechanoreceptor nerves present in the tooth’s root, causing pain and discomfort. Furthermore, the theory suggests that if the functional radius of the opened dentinal tubules is decreased, the permeability also decreases, resulting in reduced Dentinal hypersensitivity. The study conducted by Dr. Swapna Mahale et al. (PG Guide and HOD, Department of Periodontics, MGV’s KBH Dental College and Hospital, Nashik, India) aims to evaluate the effects of three desensitizing agents on dentinal tubule occlusion using scanning electron microscopy (SEM). To conduct this study, 15 freshly extracted human premolars stored in 10% formalin were taken. These specimens were then cleaned and mesiodistally sectioned to obtain 15 buccal and 15 lingual surfaces. Till dentin blocks were prepared, the specimens were placed in deionized water. The dentin blocks measuring 2.5 x 2.5 x 2.5 mm were prepared in the cervical region. Then, the exposed dentin surfaces were polished using pumice and bristle brush. The specimens were then ultrasonicated in distilled water for twelve minutes and rinsed with deionized water to clear the residual smear layer and to open dentinal tubules. Using a tweezer and cotton, a pea-size amount of toothpaste was manually rubbed onto the exposed window of dentin. This process was followed for seven and fourteen days, twice a day for two minutes. Post each application, the specimens were rinsed with distilled water and stored in saline. Using a scanning electron microscope, the extent of tubule occlusion was assessed after seven and fourteen days. To aid conductivity, all specimens were sputter coated. Moreover, photomicrographs at 2000 and 5000 magnifications were taken of representative dentin surface areas. Arginine showed clear tubule occlusion. This was theorized to be caused due to the deposition of calcium carbonate and arginine agglomeration within the tubules. Strontium chloride displayed complete tubule occlusion as a result of the quantity of particulate deposited. Novamin showed a smear layer-like occlusion that blocked most tubule orifices. However, a few tubules were left partially open. The study did not consider the longevity of precipitates or resins formed in the tubules or their resistance to oral acids over time. Based on the results of the SEM analysis, Strontium Chloride displayed the best tubule occlusion followed by Arginine and Novamin. The clinical effectiveness of these three dentifrices depends, in part, on the dissolution resistance i.e. the solubility of the precipitates formed. However, further research is needed to ascertain the durability of the occlusions and their ability to lower fluid flow through dentin.